Great news for all Kid Bloggers – KidsBlogClub has been short-listed as a finalist in the 2013 TalkTalk Digital Hero Awards. These awards recognise people who use technology to bring about positive social change. There are some brilliant finalists and we are honoured to be in their company. 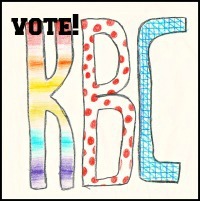 KBC is all about promoting children’s literacy and creativity via blogging and it’s fantastic to see this recognised. If we win we’ll get £5000 which will go directly to the site to commission more content and make this site as useful to you as it can be. So far there has been no outside funding for this site and all the writers write for free but we would love to bring you even more useful and fun posts and pay our writers. Winning would also be a great recognition of how far children’s blogging has come and a sign that kid bloggers deserve to be supported and listened to. However, we can only win with your help – the bottom line is – WE NEED YOUR VOTES. LIKE, WE REALLY, REALLY NEED YOUR VOTES. Then click on the tab that says Voting Gallery You’ll see a map of the UK. We are shortlisted in the South East region (bottom right hand corner of the map) because that’s where our founder lives. Click on the SE bit of the map and a box should pop up with the 3 finalists for that region. The middle one is the KBC founder Joanne Mallon. Then you just click under Joanne’s name to vote for her – it’s really simple and you don’t have to register or anything. Thank you for another wonderful write-up. The place otherwise could any one get that sort of info in this particular excellent way with words? I’ve a powerpoint presentation pursuing 7 days, that i’m on the hunt for similarly info.